We are flexible in the types of burial we can offer. You can choose either a formal or natural woodland burial to provide what is right for you and your loved one. We can offer a unique plot to inter a loved one’s ashes as well as providing for full burials. If you are thinking further ahead, we encourage visits from those who are planning their own funeral and who may wish to choose and reserve their own plot in advance. Whatever your needs, our Sexton fully supports and welcomes all individual visits to assist you in your choice and preparations. There are very few rules about the funeral itself. It may be religious or secular, and any idea will be considered to personalise your loved one’s burial. Music can be played, readings or poetry can be read, toasts made and personal tributes may be spoken. A combination of traditional and more modern elements within a funeral may be more relevant when someone has a diverse group of family and friends. Chesham Bois Paris Council is a member of the Institute of Cemetery and Crematorium Management (ICCM) and operates within the guiding principles for cemeteries. Our chapel provides a welcome place for friends and family to gather for a memorial service of any denomination or none. 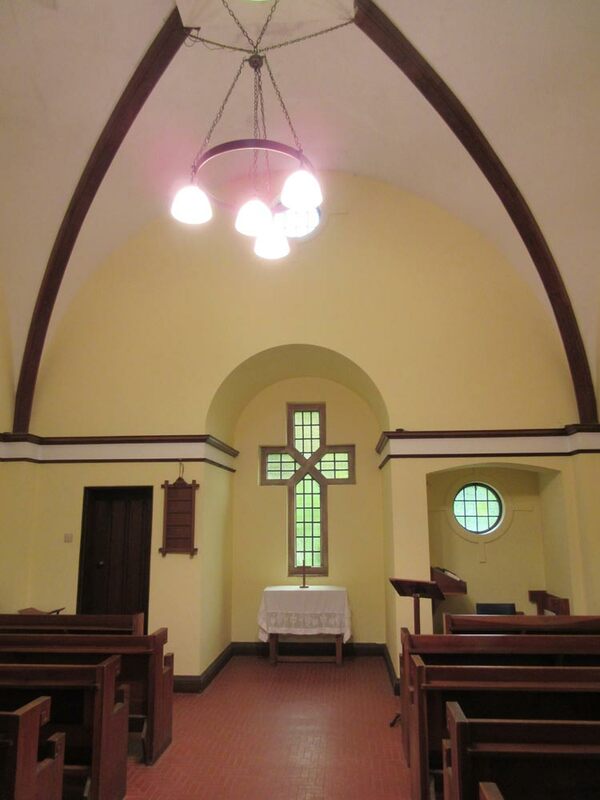 It has a calm and peaceful ambience, a wooden lectern and seating for up to 50 people. An individual eco toilet block is available in an adjacent screened area.